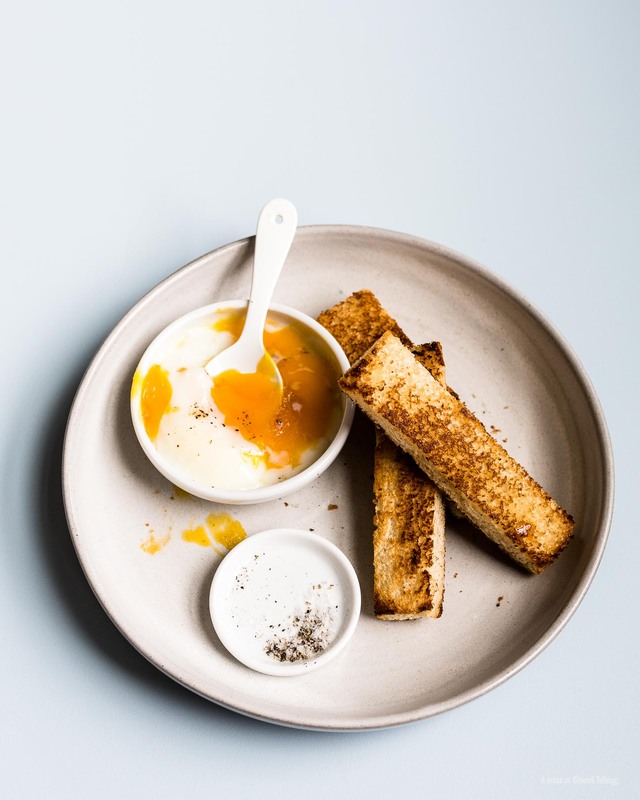 How to sous vide eggs: the perfect time and temperature for just right whites and a custardy, rich yolk. 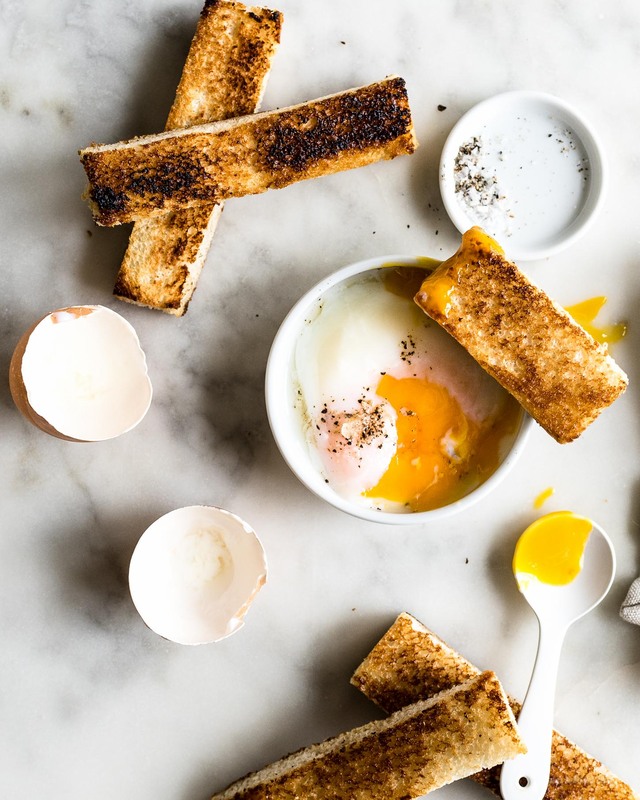 To me, there’s no breakfast simpler or more pure than an egg with toast. Fried, scrambled, soft boiled – they’re all delicious. 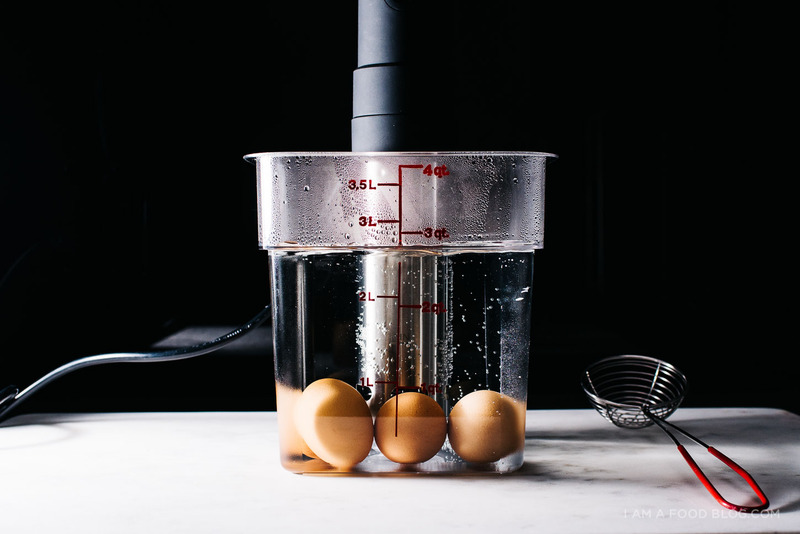 But, perhaps the most decadent is the sous vide egg. Simple and elegant, a sous vide egg is egg at the epitome of egginess. The whites are barely set and the yolks are perfectly custardy. The best part? It’s a set it and forget it kind of thing, as all things sous vide are. This is my favorite temperature and time for eggs. A small amount of the whites will be just the tiniest bit runny – I just tip those parts off and then it’s hello custardy yolks and just right whites! What to put your poached eggs on: mashed potatoes, miso buttered toast, bacon and egg breakfast ramen, kimchi stew, crispy bolognese rice bowl, or, you know, everything. Oh, if you don’t have a sous vide machine (you should put one on your wishlist! ), you can also do slow poached eggs in a pot too. It takes a bit more hand-holding, but it can be done. To sous vide the eggs: Fill a large pot with water and set the sous vide machine to 64°C. When the water reaches 64°C, gently place 6 eggs, straight from the fridge, into the water. Set a timer for 43 minutes. When the 43 minutes are up, remove the eggs from the water bath and plunge into an ice bath if not eating immediately. 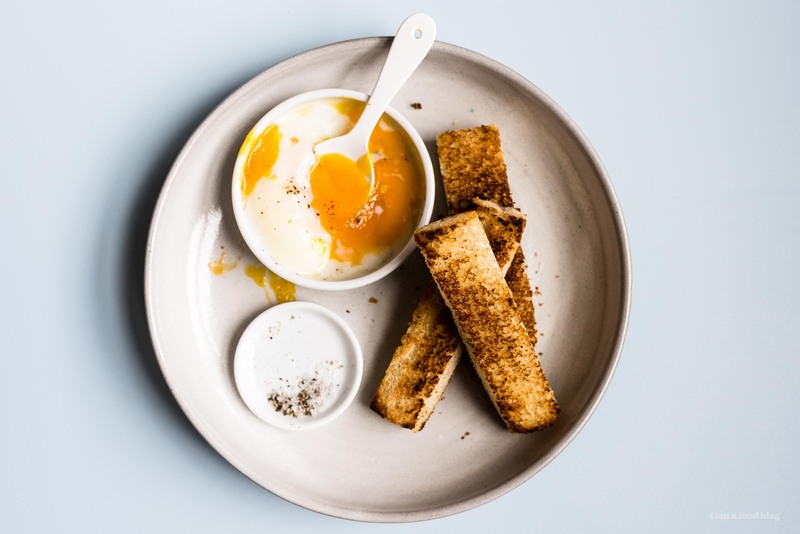 To eat: Crack the eggs into a small dish and tip the dish slightly to pour any loose whites. Enjoy with salt and pepper and toast, if desired. 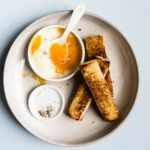 If you make a batch of these and keep them in the fridge, the best way to heat them up is by placing the eggs in very, very hot tap water. You could also boil water, then set the eggs in the boiled water, off the heat, for 30 seconds or so.